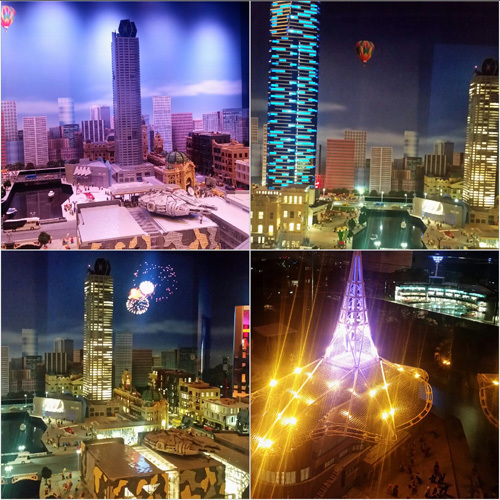 Legoland Discovery Centre finally opened in Chadstone on 18 April 2017 after a long wait. 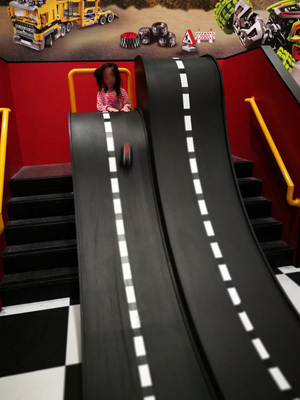 Suitable for kids ages 3 to 10 years old, all adults must be accompanied by a child(under 17yrs old). Upon entry, everyone will watch a video while waiting to enter the factory. 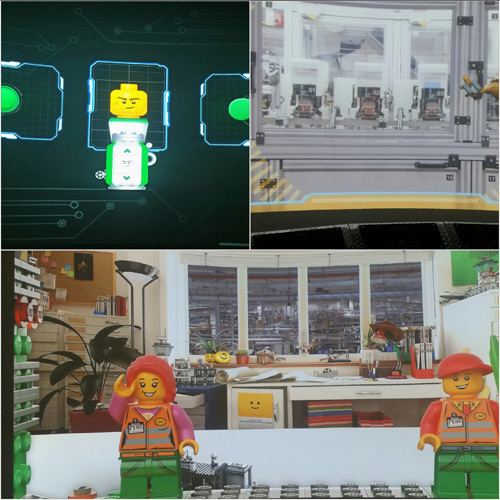 The factory tour will take everyone through behind-the-scenes to discover how LEGO bricks are made in so many awesome shapes and cool colours. 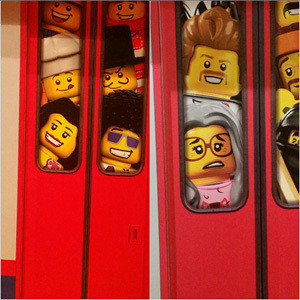 Every visitor can take away a special LEGO collectible brick which is change on a monthly basis. Hop aboard your chariot and help to rescue the captured princess. Children under 1.3m tall must have an adult ride with them. All riders must be able to sit upright unaided. 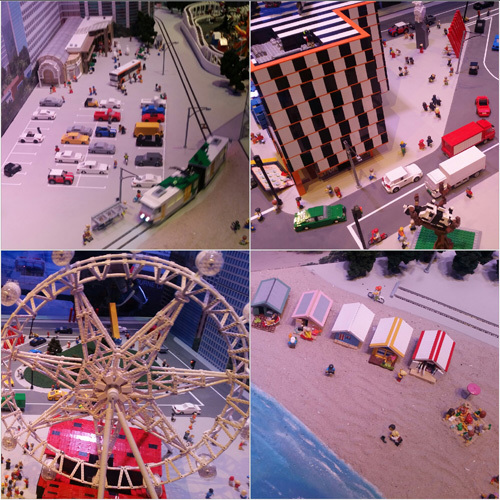 Built with over 1.5 million bricks, explore and play with the interactive city and iconic Melbourne landmarks as the little land changes from day to night. 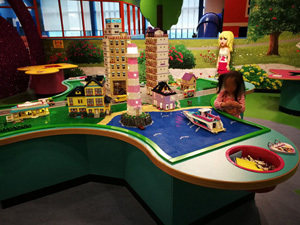 Help Lego Friends build cool models in Heartlake City. 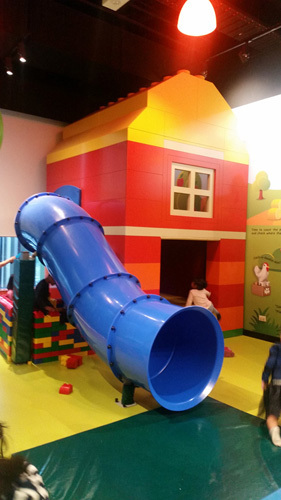 Specially for kids from 2 to 5 years old, little builders can let their imaginations loose in the DUPLO Farm. Unfortunately this 4D cinema doesn't have interactive motion theater seats, but a 3D film with a 4D cinema experience with rain, wind and even snow. 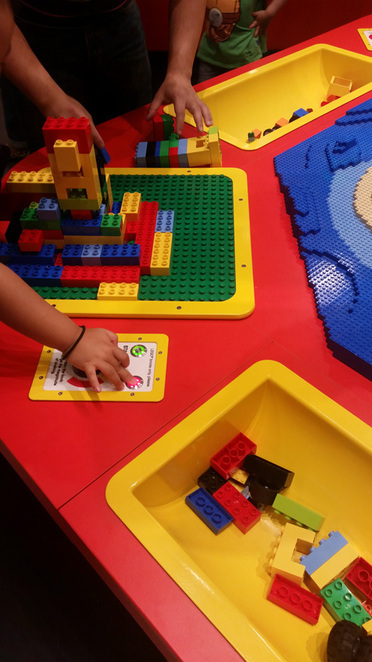 Build the tallest tower using LEGO bricks and put it to test as the tables start to shake. 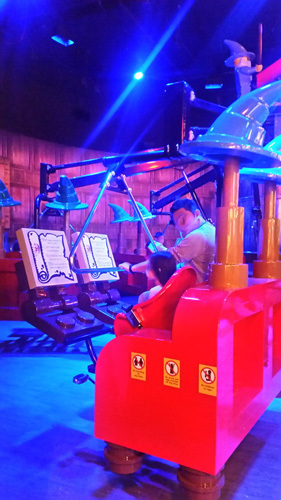 Pedal as fast as you can in the enchanted cart in Merlin's magical potions chamber to become his next wizarding apprentice. Children must be a minimum of 90cms tall to ride. Children between 90cms and 120cms must ride with an adult. Closed toe shoes must be worn to ride on Merlin's Apprentice. could be aggravated by the attraction. Expectant mothers should not ride. 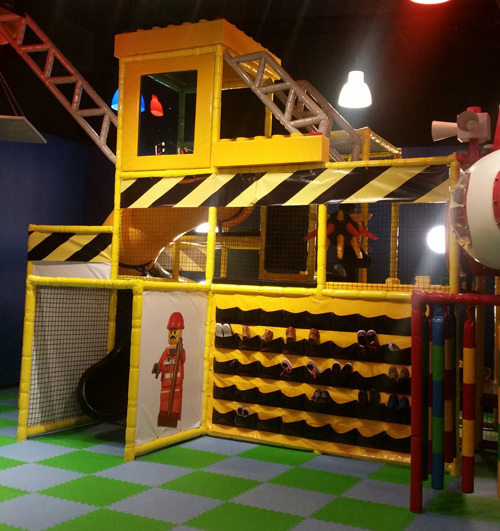 Soft play area with climbing wall, jungle gym and slides. Socks must be worn at all times within the soft play area. Suitable for children aged 4 . Height restrictions apply. 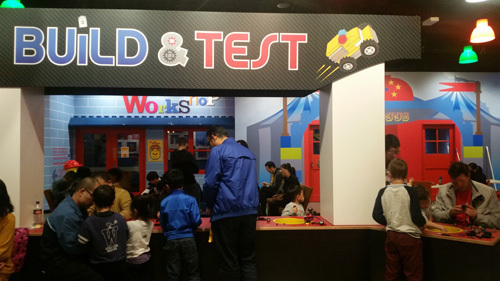 Create an ultra-fast LEGO racing car and have it race down the test track for the quickest time. 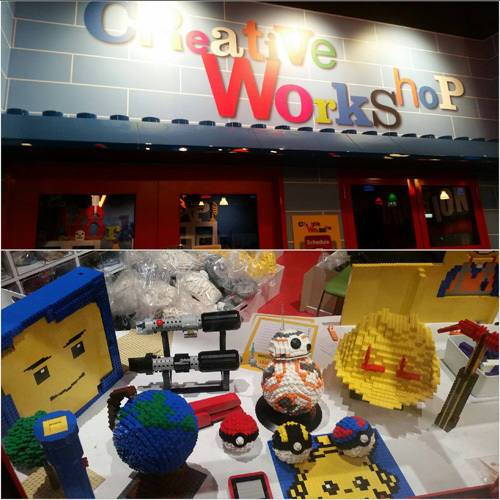 The same as store- bought Lego sets, the workshop provides Lego sets for kids to build. The sets are changed on a monthly basis. 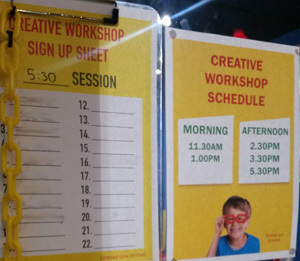 The current workshop schedule is at 11.30am, 1pm, 2.30pm, 3.30pm and 5.30pm* (only on extended hours day i.e. Thu, Fri & Sat). Book your session by filling in your name on the sign up sheet posted on the door. Tuck into a tasty, freshly-made sandwich or salad, unwind with a latte or indulge in an ice-cream treat. 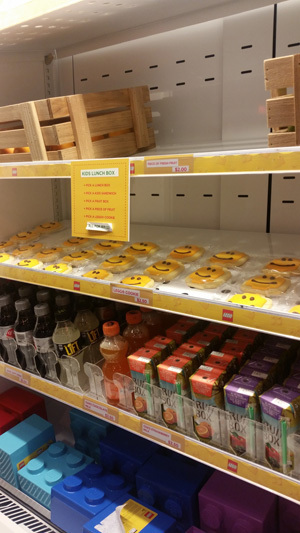 Pack a Lego lunchbox with kids sandwich, fruit box, piece of fruit and a Lego cookie for $18. Check out the latest LEGO® products i.e. 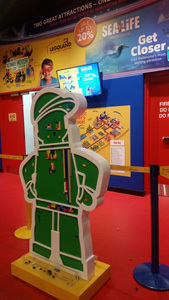 LEGO Batman, LEGO STAR WARS, exclusive limited edition items, pick-a-brick wall and a build your own mini figure zone! 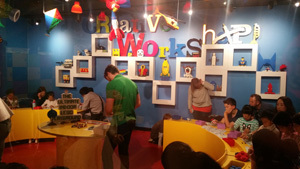 The shop is open to all members of the public, both adult and children LEGO fans alike. 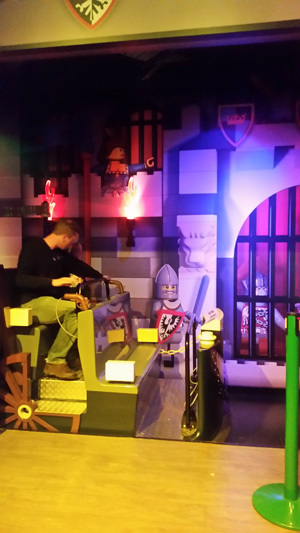 10% discount for Legoland Discovery Centre Annual Pass members on select items. LEGO Gift Cards are not accepted as form of payment in Lego shop. 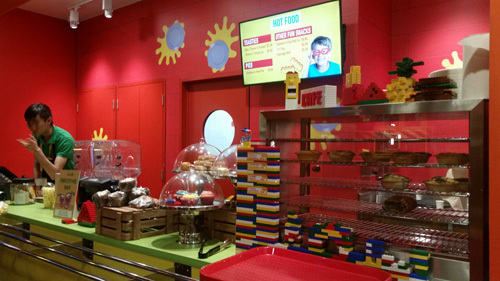 There are 2 party room available for hire for a LEGO® Birthday party. Birthday party package starts from $42 per child. 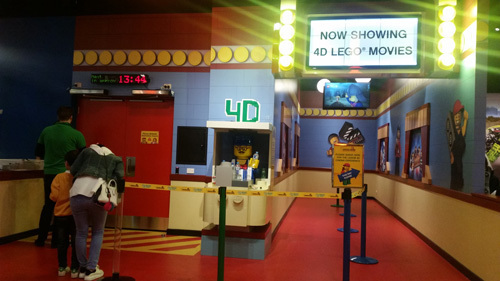 This is the only time an adult can visit Legoland without a child to experience the 4D Cinema, rides, Factory Tour and LEGO brick pits before testing your skills at the speed build challenges or MINILAND scavenger hunt. There will be plenty of prizes up for grabs for several build challenges throughout the night. The Master Model Builders will be hosting workshop classes, and providing tips and tricks for both LEGO® pros and novices. Booking online is the only way to guarantee entry at any given time-slot, as tickets are limited, especially during weekend as it can get quite crowded. Once you are inside, you can stay as long as you like. Ticket price starts from $32.50 per person. As Legoland is part of the Merlin Entertainment Group, they have combo tickets to include Sea Life Melbourne. An annual Pass price starts from $81 per person. Merlin Annual Pass Plus price starts from $124 per person. RACV members save 10% on the purchase individual admission ticket and $10 on individual annual pass. Free entry for kids under 3 years old. I have not used this website before but currently 365tickets.com.au is running a 33% discount for individual tickets.